The 10 Best Speakeasies in West Virginia! 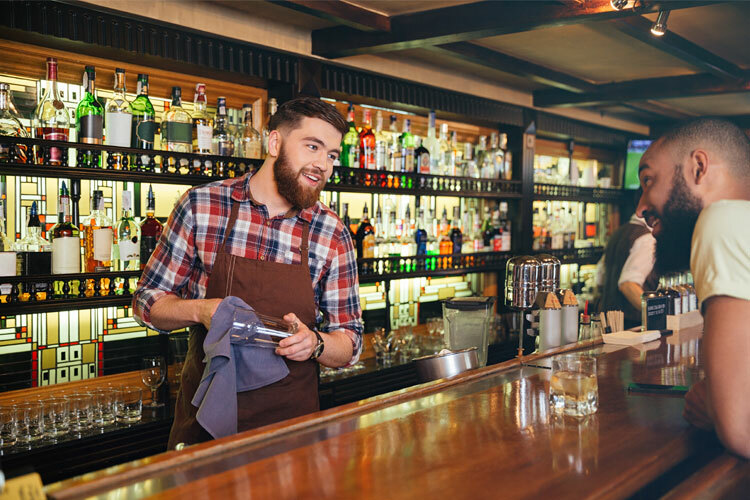 Today’s speakeasies aren’t the hidden and illegal places to obtain alcohol that existed during Prohibition, but instead are favorite bars that serve well-made and classic drinks. They often have an old-time ambience and nostalgia to them and have a relatively relaxed and casual atmosphere. Below are 10 of the best speakeasies scattered throughout West Virginia where you can find the type of ambience and drinks reminiscent of days gone by. Voted Best Bar in the state by Southern Living Magazine, Tin 202 in Morgantown does it right when it comes to preparing classic cocktails and spirits. A very busy bar, the friendly bartenders are never too busy to make your favorite old-fashioned drink or suggest one that will become a new favorite. Sitting at the bar makes your experience even better. Located in what was once a home and pharmacy in 1895, you’ll feel the nostalgia when you walk through the doors. This classic dive bar has been serving the best steak to the public since it opened in 1935, and is the oldest bar in West Virginia. Located in Hilltop, you’ll find outstanding service, a relaxed atmosphere, and great food. Private parties can be booked, and live music is open to everyone. No membership is required. Cold beer, friendly atmosphere, and good bar food is what you’ll find at this converted one-room schoolhouse known as Old School Tavern in Grafton, West Virginia. This place receives high marks consistently on social media sites, and you’ll leave with a smile and the memory of a good time. Located in one of the oldest cities in West Virginia, it’s only fitting that one of the oldest bars is also located on oldest highway in the area. Watkim’s Bar in Wheeling is a clean and friendly place with a casual atmosphere that makes it a favorite among the locals. From the black and white checkered floor to the fully stocked bar, they have cool beer and lots of it. It’s family owned and a great place to go for a drink with the guys. Even though Apothecary Ale House & Café in Morgantown, West Virginia, isn’t the oldest bar by any means, it is reminiscent of the type of the speakeasies that were popular during Prohibition. The casual, laid back atmosphere makes you feel like you’re among friends, and the barkeeps give solid advice when selecting a drink of choice. They have a large selection of ice cold beers, and the food isn’t bad either. Known by the locals for its homey atmosphere, Old 9 East Bar & Grill in Martinsburg, West Virginia also delivers great bar food and a variety of live entertainment. Patrons can play pool on Wednesday nights for free, and they host special events throughout the year like comedy shows, holiday parties and crab feeds. Prices are reasonable, too. You’ll find things on this mountain in Snowshoe, West Virginia, that you won’t find anywhere else, like Old Spruce Bar. Just open since 2010, it’s quickly developed a reputation for the best beer selection in 100 miles, and the bartenders and servers are friendly and get your food out fast. There’s a great casual atmosphere, but takeout is available. Try the smoked trout dip when you go. With a special reverence to old-time ales, Stumptown Ales in Davis, West Virginia, embodies the passion of brewing and serving great beer. The philosophy here is “if you’re going to do something, do it right,” and that’s the mentality that was formed the town’s history almost 100 years ago. The atmosphere draws you in and back again, and the thought about food goes along with the beer for the perfect compliment. This iconic tavern has been in operation in Parkersburg, West Virginia, since 1899. This is the longest continuously operating establishment in the state and the 122nd oldest bar in America according to Brookston Beer Bulletin. Brewing started in the last 20 years or so, and they grow their own hops used to create the beer. They have great pub food that includes burgers and fries. This is down home drinking and eating. This might not look like the speakeasies of the past, but the taste is exactly the same. In an attempt to recreate the moonshine that was sought after during the days of Prohibition, Bloomery Plantation Distillery in Charles Town, West Virginia, offers a unique blend of vice and virtue, and one visit will tell you that this is moonshine done well. Tasting is believing at this award-winning distillery.